Dairy is a big industry in Idaho. That brings certain byproducts, including manure. Lots of manure. 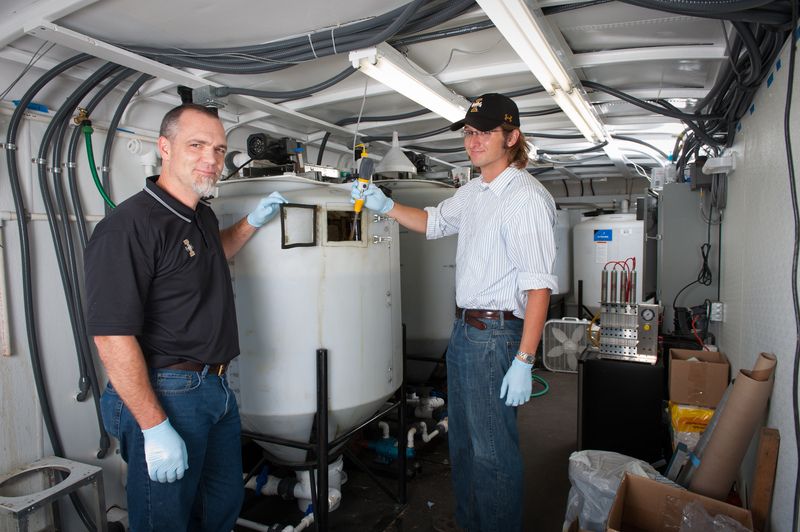 While pursuing his PhD, University of Idaho civil engineering professor Erik Coats became interested in resource recovery, particularly when it comes to plastic. It turned out that pursuit dovetailed very nicely with Idaho’s wealth of manure. Coats’ team has now developed a process that uses bacteria to turn manure into biodegradable plastic. It can be used to create printer cartridges or plant pots that disintegrate after use. Coats believes his team can commercialize the technology within five years. Right now, they are working with scale models of the large tanks the process would require. Their small tanks can produce two to five pounds of plastic a day. The process starts with placing manure in a tank, where it ferments. The manure separates into liquids and solids. The liquids are removed from the tank and fed to bacteria. The bacteria process it and store it in their body, much like how humans store fat. Once the bacteria are fattened up, the team kills them with chlorine and dries them. The raw plastic can be incorporated into products like the planter pot or matting used for erosion control. Otherwise, it can be purified to be used for a product like a printer cartridge. The solids can be fed into a manure digester, which create electricity from methane. Coats said it makes sense to pair the two systems together. this is really neat science. Good joined up thinking. Farmer have always produced energy, just we used to think of only the food portion. As currently large consumers of electricity the infrastructure is already in place to harvest electrical energy from the millions of farms in developed countries. For farmers it’s another crop.